The Mapex Storm Fusion set offers a complete set-up for the first time player, but is equally suited for the performing drummer needing a highly portable, easy to assemble, great sounding second drum set. 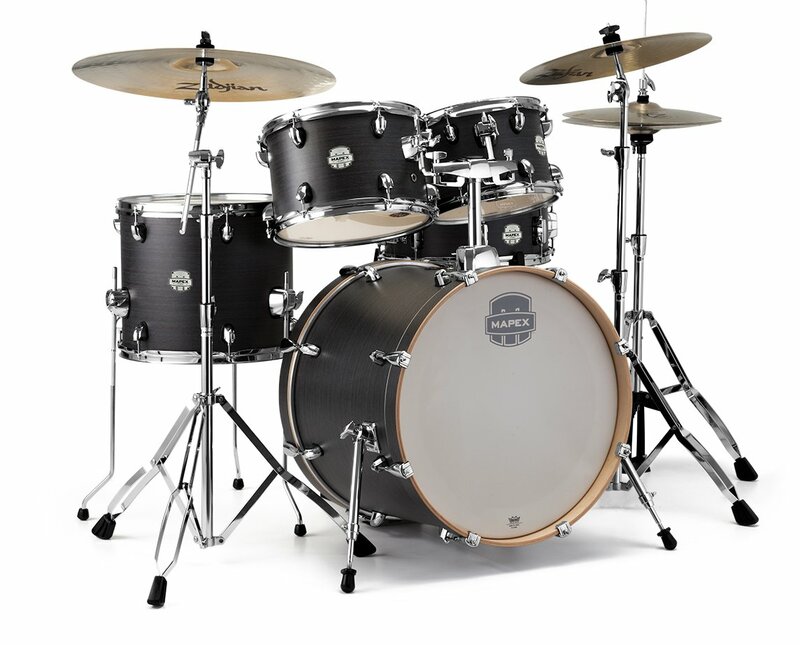 The all-poplar shells have the Mapex SONIClear™making tuning simple while giving the drums plenty of tone. The 20" bass drum delivers punchy lows while still being small enough for younger players. The Fusion kit includes 10" and 12" bass-mounted rack toms, a 14" floor tom, a 14" snare drums and a 20" bass drum. The smaller drum and shallower sizes are ideal for fusion tuning, but are large enough for young rockers. Mapex Storm 5-Piece Fusion Drum Set (20"X16", 10"x7" , 12"x8", 14"x12", 14"x5"). Floor Tom Legs (x3), TH656, B400 Boom Stand, C400 Cymbal Stand, H400 Hi-Hat, S400 Snare Stand.